Gov. Sandoval shakes hands with President Trump at Las Vegas Metro Police Dept. headquarters on Oct. 4, 2017. Photo by Daniel Clark. Gov. 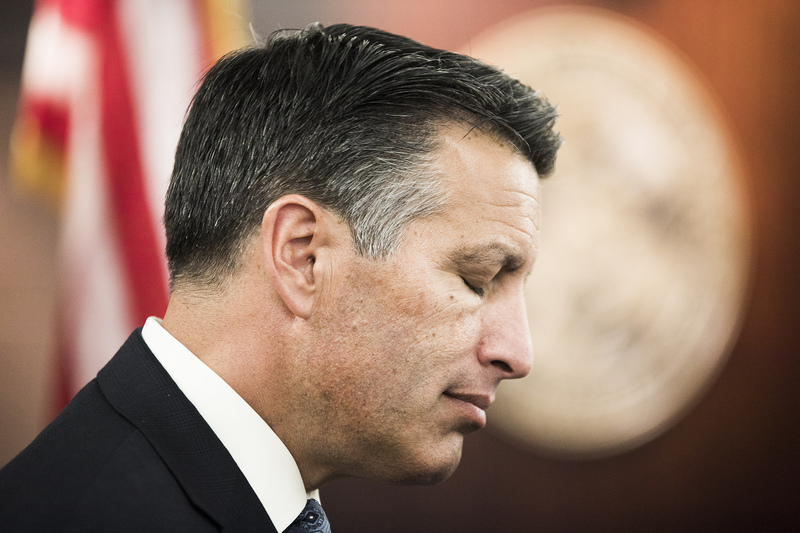 Brian Sandoval said he’s “sad all the time” about the Oct. 1 mass shooting in Las Vegas, but that he “absolutely” does not feel powerless to prevent such tragedies in the future. Sandoval reflected in a phone interview Friday about how the massacre affected him personally and the way the state has tried to change for the better in the past year. He’s planning to be in Las Vegas on Monday, and has asked Nevadans to lower their flags to half-staff and wear “Vegas Strong” apparel to to commemorate the somber anniversary. The governor said he was reading in the Governor’s Mansion in Carson City last Oct. 1 when he got a phone call that there had been a shooting. At the time, it wasn’t clear if there were multiple shooters, and his job was to ensure there were enough resources available for the response. He arrived in Las Vegas early the following morning. In addition to visiting hospitals and the Clark County coroner’s office, and signing executive orders aimed at removing barriers to out-of-state medical assistance, he toured the festival grounds themselves, where victims and much of the evidence from the night before remained. “It’ll never go away. It will never go away,” he said about his memories of the scene. Although investigators have failed to pinpoint a motive for the killings, and as easy answers for how to prevent such incidents elude state leaders, Sandoval insisted that he doesn’t feel helpless. “That’s a horrible word,” he said. Since the shooting, the Nevada Homeland Security Commission that he chairs has been able to take steps to boost security, he said. It has doubled the National Guard presence on the Las Vegas Strip during the New Year’s Eve celebration that draws hundreds of thousands of revelers. The panel has prioritized grants to law enforcement and first responders — the governor credits some of those grants for funding mass casualty drill training that better equipped medical personnel to respond to the shooting. And along with the Gaming Control Board, the commission has sought updated emergency plans and building floor plans from casinos to help speed responses. He also pointed to his work trying to prevent school shootings. There was his initiative approved in 2015 to fund school-based social workers to address bullying and students’ overall emotional health. The school safety task force he convened earlier this year is recommending even more funding for that program, and he said he intends to include funding for school safety grants in the budget that he’ll hand off to the next governor. There’s also the Safe Voice program, which has rolled out statewide this year and offers a hotline and internet portal for students to anonymously report school safety threats, suicidal friends and bullying incidents. It has received thousands of tips so far and operators testify that they believe it has saved lives. As for guns, Sandoval continues to advocate for the banning of bump stocks — the accessory that allowed the Las Vegas shooter’s weapons to fire at speeds on par with an automatic weapon. 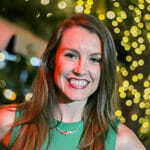 And he noted he signed bills in recent legislative sessions aimed at keeping guns from people with mental illness or a history of domestic violence. In the past year, he’s fielded criticism in The New York Times and elsewhere for not implementing the gun background check initiative narrowly passed in a statewide vote in 2016. He has argued that federal authorities have repeatedly declined to perform the checks prescribed by the new law. A District Court recently ruled in his favor, saying he had done what he could to implement it. On Monday, he plans to attend two different memorial services. While he is not allowed to donate blood because he traveled to the West African nation of Ghana this summer for a trade mission, he plans to be on hand at a drive to thank those who will.